TowneBank had already proven itself to be a successful bank in its local area, and now it was ready to expand into uncharted territory. Richmond, Virginia is a very crowded marketplace for banking, yet TowneBank saw an opportunity. They chose circle S studio to create the advertising campaign that would launch the Bank to a new audience. 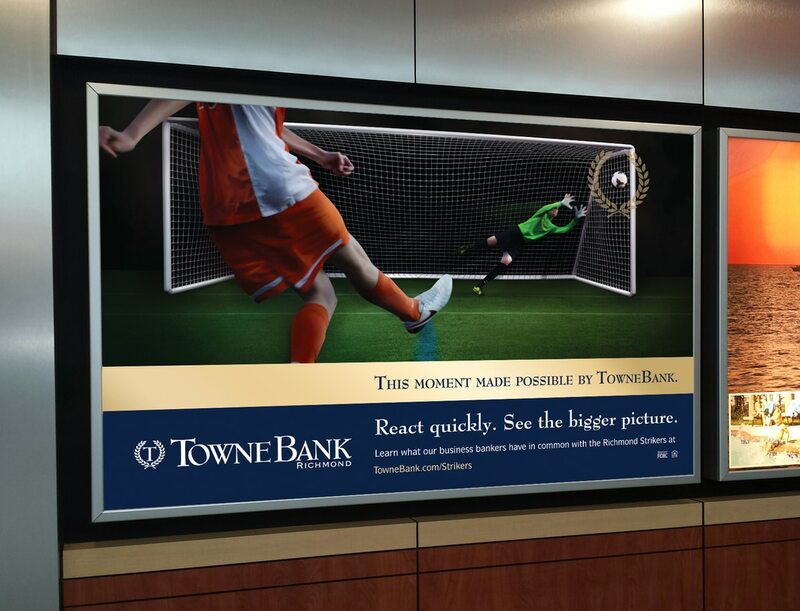 The messaging had to be authentic to TowneBank, yet also relevant to the Richmond market. It had to be smart, meaningful, and distinctive. We created the tagline “A frankly different bank is in Towne,” which served multiple purposes including being a subtle reference to TowneBank’s acquisition of Richmond’s Franklin Federal Savings Bank. The elegant “Business Beetle” cars are a signature feature of TowneBank, and we used them as both a literal and a metaphorical symbol of the arrival of TowneBank in the market, as well as the exquisite service that the Bank provides to its members. After the introduction, how do you keep the conversation going? The launch was a great success. Never ones to settle, we worked closely with the Bank to determine the strategy for moving forward. TowneBank strives to be a true community asset, to make a real difference. We wanted to make sure the businesses and people of Richmond understood that. We coordinated with the Bank to feature stories of their individual bankers, highlighting personal involvement as well as some of the specific businesses, charities, and organizations that TowneBank works with. 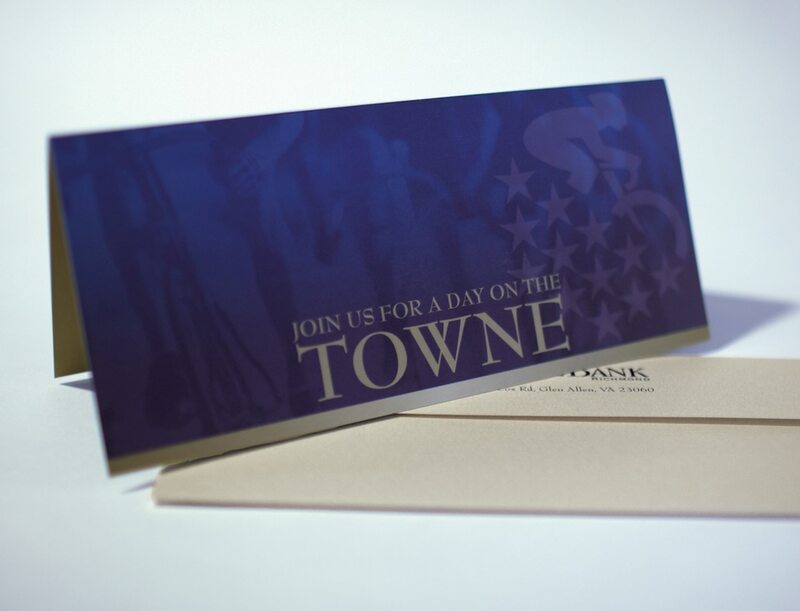 Beginning with a TV spot that aired during the Super Bowl, the campaign expanded upon the message of the launch to help TowneBank earn the trust of Richmonders. TowneBank's 2016 anthem TV spot first aired during the SuperBowl. Are growth and success the same thing? TowneBank and circle S studio have a lot in common. We both value hard work, strong leadership, and the empowerment of our teams. 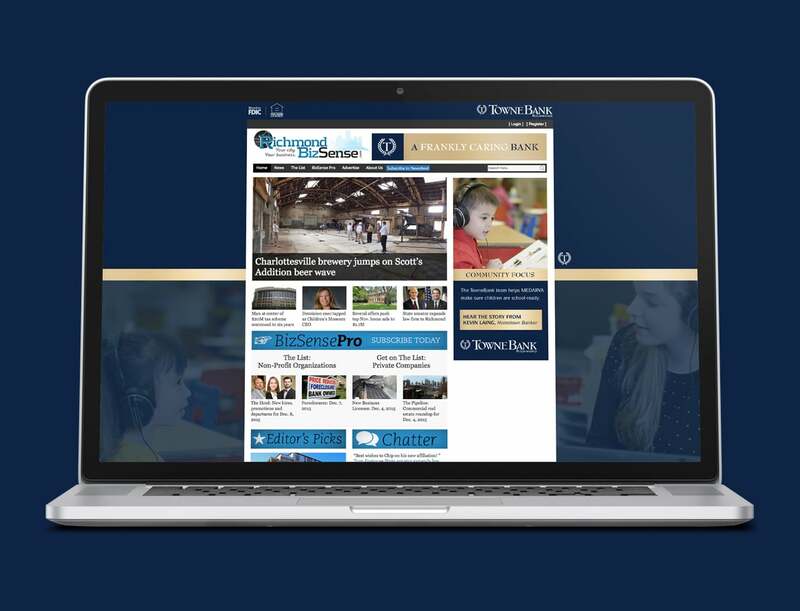 Through meaningful core values, intelligent planning, and smart marketing, TowneBank has seen tremendous success and growth since its humble beginnings in a garage in 1999. And we’re proud to have been a part of some of the most recent successes. In their first year in Richmond, TowneBank has seen impressive results; both deposit and loan growth goals have been met, and name recognition continues to grow significantly. We’re excited to see what else the future holds for TowneBank, in Richmond and beyond.